Our multicultural faculty hails from all over the Spanish-speaking world, stretching from the United States and Mexico to Guatemala and Spain. The diversity of cultural, linguistic and theological backgrounds adds depth and perspective to every IDEAL class. 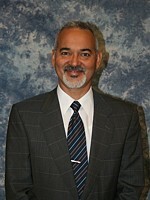 Wilmer Ramírez is the Director of Hispanic Initiatives at Denver Seminary. Before coming to Denver Seminary, he was the Founder and Director of Ministerio Edificar (2003) in Guatemala and of the Centro de Desarrollo de Liderazgo Cristiano in Boston (2006-2008). He has taught at the Seminario Bíblico Teológico Neopentecostal Panamericano (1996-2001) as well as at the Seminario Teológico Centroamericano (1995-present). 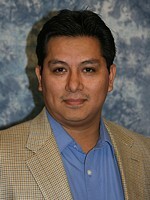 His experience as a pastor in Guatemala (1994-2001) also informs his teaching and leadership at IDEAL. In 2008, he founded the radio program “Against the Flow” with his wife, Vioneth. He received his BA in Theology, his MA in theology, and his ThM from SETECA. Scott Moore is currently a PhD student in New Testament at the Iliff School of Theology in Denver. He has taught at IDEAL since 2005 and was a Visiting Professor of New Testament at SETECA in 2008. Before his time at Denver Seminary, he was the Associate Director of Casa de Luz Ministry for Willow Creek Community Church in Illinois. 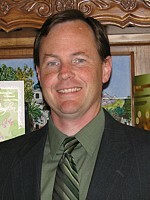 He also has experience facilitating short-term mission teams to Latin America. In addition, Scott Moore is a conference speaker on topics ranging from the “Jewish Context of James” to “Developing Volunteers.” He earned his BA in Christian Education from Wheaton College and his MA in Biblical Studies (New Testament) from Denver Seminary. Vioneth Villatoro de Ramirez is a teacher at the IDEAL Institute and the founder of Oasis, a program sponsored by Denver Seminary’s Hispanic Initiatives that provides ministry training for female leaders of the Hispanic Community. She has experience teaching courses in Ministry at SETECA (1995-2005) and at the School of Leadership at Iglesia Nazaret in Guatemala. She founded and produced the radio program Mujeres de Valor for Cultural Radio TGN, based in Guatemala. She also co-hosts the radio program “Against the Flow” with her husband, Wilmer. 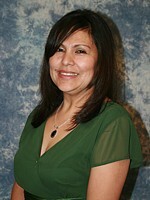 Vioneth received her BA in Theology and MA in Ministry from SETECA. Victor García is currently a Family and Children Therapist at Aurora Mental Health Center and Pastor ofNueva Esperanza church in Brighton. Before working as a counselor and therapist, he was the Senior Pastor of Iglesia Vida Abundante in Denver (1996-2006) and the Interim Senior Pastor of Iglesia Bautista Betania in Chicago (1997-1999). Victor received his BA in Theology from the Seminario Teológico Centroamericano in Guatemala and his MA in Counseling Licensure from Denver Seminary. José Garrigó is National Director of Alpha for Latinos. Before coming to Denver in 2008, he was the Director of Teaching English as a Second Language at John Talabot High School in Barcelona, Spain. José has taught courses in English, Spanish and Bilingual Education in both Denver and Fort Worth, Texas for over 15 years. He received a B.A. in Humanities from Toccoa Falls College, a MS in Educational Sciences: Bilingual and Bicultural Pedagogy from Saint John´s University (Queens, NY), and a MDiv from Denver Seminary. 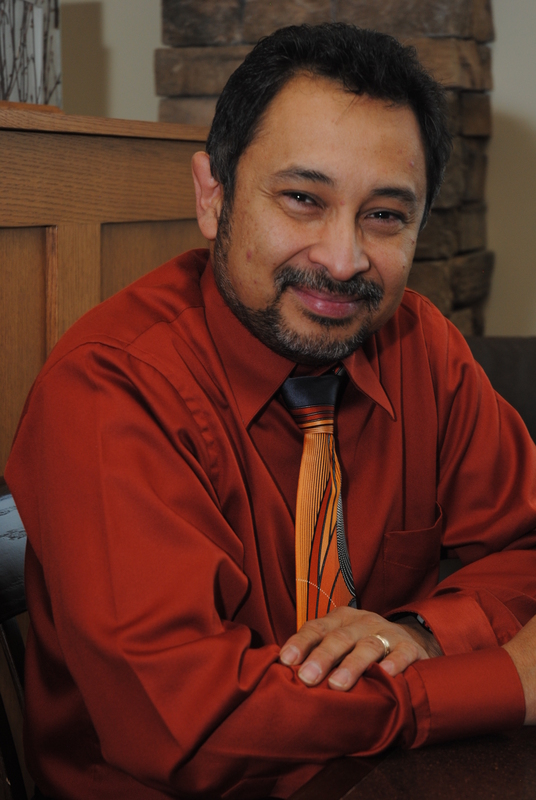 Alex del Cid is currently a pastor at Calvary Church in Longmont, Colorado, where he serves Camino Nuevo, a ministry to Hispanics. In addition to serving in various capacities in the church, he also has worked as an advisor with Geoconsult, a geology and engineering consulting company based out of Tegucigalpa, Honduras. Alex has a BA in Business Administration from the Universidad Autónoma de Honduras and a MA in Leadership from Denver Seminary. William Mitchell is the Internet Production Engineer for Focus on the Family. 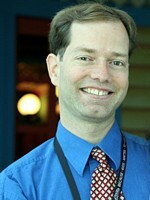 Previously he worked as the Online Editor for all of Focus on the Family’s English and Spanish content. While in Guatemala he taught courses in hermeneutics, theology and history for the Seminario Presbiteriano and courses in Spanish grammar forUniversidad del Valle. He was the Editor for The Nave, Harvard Divinity School´s student newspaper, as well asEl Periódico de Guatemala, a major Guatemalan daily newspaper. William has a B.A. in Literature fromUniversidad del Valle, a BA in Theology from the Seminario Presbiteriano, and a ThM from Harvard University Divinity School. Doug Holm is currently the Theological Development Specialist for Campus Crusade for Christ South America and a PhD student in New Testament at the University of Bristol in England. 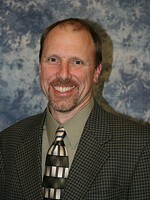 Doug has spent most of his career with Campus Crusade for Christ. 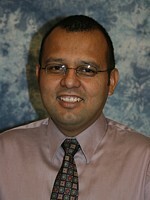 For 9 years he was the National Director of Campus Crusade for Christ Chile. He also developed campus ministries in Colorado as well as Costa Rica and Russia. He received his B.S. in Computer Engineering from Oregon State University and his Master of Divinity from Denver Seminary. Carlos has ministered as Bible teacher, Church history and Theology in the UnitedStates, Mexico, Central America, and Spain. He obtained a degree in Computing Sciences from the Faculty of mathematics of the Autonomous University of Nuevo Leon in Monterrey, Mexico. In 2000, he moved to Dallas to study an MA in Historical Theology from Dallas Theological Seminary. He was ordained as a Minister of the Gospel in 2006 in the Stonebriar Church in Frisco, Texas where he served as associate pastor of Hispanic Ministry from 2004 until 2009. He currently works as a writer for Sacra Script, a Ministry that produces materials for Bible study.